Great Alphabet Books for Toddlers - Including Tips on How to Make Your Own! Great Alphabet Books for Toddlers – Including Tips on How to Make Your Own! Make your own alphabet books. Save your old catalogs and newspapers and cut out pictures for each letter. Make one page for each letter and label the pictures. You will probably need to brainstorm things to look for with your toddler, but then she can help you search for pictures and glue them in. It’s also fun to add photos for some of the pages too. Your toddler will love seeing Mommy on the M page, and her dog on the D page. Magnetic letters are lots of fun for toddlers. Keep them on the refrigerator to be played with while you are working in the kitchen or put them on a cookie sheet and they become portable. Play "I Spy" with letters when you are out and about. Point out letters that you see on signs and buildings. When your toddler is able to identify a few letters, challenge him to find them at the grocery store or while riding in the car. Make your own "I Spy" with letters. Spread out your magnetic letters or foam bathtub letters and take a picture of them. Then either enlarge the photo and print it or just put it on the computer. 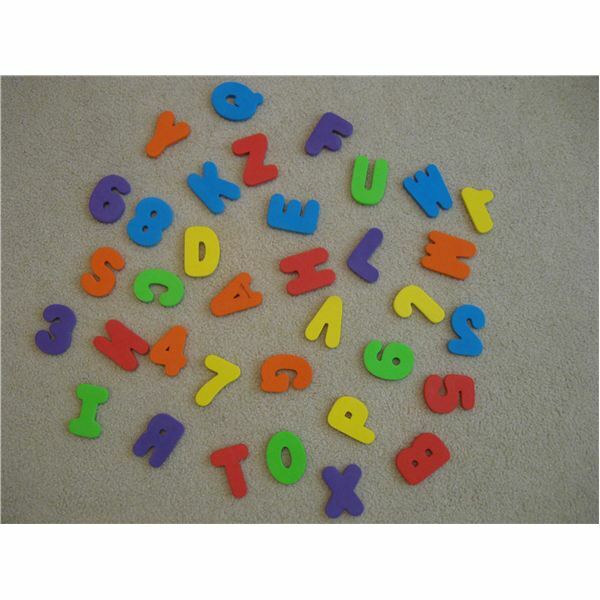 Your toddler will have fun looking for all of the letters with you. You can also find other alphabet lessons, activities and articles on making ABC books in the classroom right here at Bright Hub! Use these age appropriate books to teach a toddler the alphabet. This classic rhyming book about the twenty six lowercase letters of the alphabet trying to climb to the top of a coconut tree will delight any toddler. Its rhythmic language will stay with you all day long – "Chicka chicka boom boom – Will there be enough room?" There is also a board book version called Chicka Chicka ABC that ends when the letters fall out of the tree. Chicka Chicka Boom Boom continues the story with letters being helped up and heading home. Both versions are great choices for toddlers. From "Aardvarks Admiring" to "Zebras Zigzagging" this alphabet book combines animals and actions for each letter of the alphabet. Your toddler will love the silly illustrations and want to read it over again and again. Point to the letters as you read and your toddler will be recognizing the alphabet in no time. This book for toddlers teaches the alphabet through a variety of fruits and vegetables. The illustrations are bright and colorful and the food looks so good you might find your toddler asking you for a taste of some pretty exotic foods. It includes a glossary at the end with information and the pronunciation of all the fruits and vegetables mentioned in the book. There are lots of ABC books which label pictures that start with each letter, but this one is especially fun. It’s a very sturdy board book with plastic windows that slide open to reveal pictures that go with the letters. It’s simple text – "d is for dog" – is for toddlers just starting to learn about letters. It even has a built in handle so that your toddler can carry it around when it becomes a favorite! This is a really fun animal alphabet book. There is more to do in this charming book than just learning the letters and looking for animals that begin with each one. There are textures to touch, flaps to lift and tabs to pull. It even comes with an alphabet poster to hang in your child’s room. This is a board book version of the popular I Spy series. It has simple "I spy…" rhymes and photographs of large letters surrounded by objects that begin with the letter. The letters are easy to find so this is a great beginning I Spy book for toddlers. If you are interested in purchasing any of these alphabet books, they are available on Amazon.